The following information has been provided to you for educational purposes and is not intended as a substitute for professional veterinary prevention, diagnosis, or treatment. Please consult with your veterinarian before taking any remedies or supplements or following any treatment. Only your Veterinarian can provide you with advice on what is safe and effective for your pet’s unique needs or diagnose your pet’s particular medical history. Click on the individual ingredient to read about its benefits. 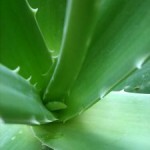 Aloe: Aloe, or Aloe vera (Latin), has been used medicinally for over 2,000 years. Ancient Egyptians used aloe to treat skin problems and constipation, and research has proven that aloe is effective as both an anti-inflammatory and laxative. Today, aloe is often used to treat burns, scalds, scrapes, and sunburn, and is the active ingredient in a number of natural alternative laxatives. Commission E, a group that evaluates herbal medicines for the German government, recommends aloe as a laxative. Aloe contains carboxypeptidase and bradykininase, compounds that reduce inflammation, swelling, and redness of wounds, as well as the pain and itching experienced as the wound is healing. Aloe can help fight infection in wounds; studies have shown that, like its close relative garlic, aloe helps destroy bacteria and fungi, including E coli and strains of staphylococcus, streptococcus, and candida. 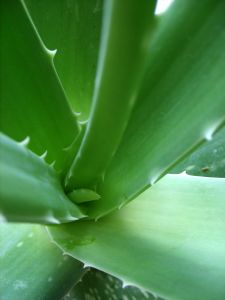 In one study, Aloe vera 0.5 % hydrophilic cream was proven to be an effective treatment for genital herpes. However, those with serious injuries should not use aloe; although aloe has been proven to speed the healing of superficial wounds, it actually slows the healing process when applied to deep wounds. Aloe is an effective treatment for psoriasis, a skin condition that causes red, raised, itchy patches. In one Swedish study, 83 percent of participants using aloe 0.5 % gel experienced significant improvement of their psoriasis symptoms, while only 7 percent of participants using a placebo reported any relief. Another study found lotion containing 30 % aloe to be an effective treatment for seborrheic dermatitis when applied to the affected areas twice daily for four weeks. Apple Cider Vinegar: Research worldwide supports and commends what Hippocrates (the father of medicine) found and treated his patients with in 400 B.C. He discovered that natural, undistilled Apple Cider Vinegar (or ACV)* is a powerful cleansing and healing elixir – a naturally occurring antibiotic and antiseptic that fights germs and bacteria – for a healthier, stronger, longer life! 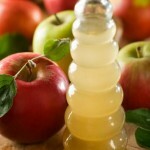 The versatility of ACV as a powerful body cleansing agent is legendary. It’s been traced to Egyptian urns as far back as 3000 B.C. The Babylonians used it as a condiment and preservative, while Julius Caesar’s army used ACV tonic to stay healthy and fight off disease. The Greeks and Romans kept vinegar vessels for healing and flavoring. It was used in Biblical times as an antiseptic and a healing agent. In Paris in the Middle Ages it was sold from barrels by street vendors as a body deodorant, healing tonic and a health vinegar drink. Even Christopher Columbus and his crew on his voyage to America in 1492 had their vinegar barrels for prevention of scurvy as did the soldiers in the American Civil War. For centuries in Japan, the feared Samurai warriors drank it for strength and power. ACV has been used for thousands of years not only for health reasons, but also as a cleansing agent to remove bacteria, germs, odors, and even stains and spots. * The best is the Organic, Raw, Unfiltered, Unpasteurized Apple Cider Vinegar. Today apple cider vinegar is said to not only reduce cholesterol but to even work at breaking down plaque in the arteries. According to research it is the acid crystals in the joints and arteries, and this hardening of the substance that causes stiffness in human and animal tissues and joints. (http://www.celestialhealing.net). Daily use of apple cider vinegar is said to have the healing ability to flush the debris from the body. Other reported health benefits of apple cider vinegar include using it as a cure for premature aging, and as a solution for joint and ligament pain by breaking down the acid crystals in the body discussed earlier. What happens after the acids crystals are broken down is a process of flushing them out through the system by way of the elimination organs. It has also been reported that once one begins the regimen of the apple cider vinegar, honey, and water drink that blood pressure lowers as well. Other health benefits of apple cider vinegar are its properties of being anti-viral, anti-bacterial, and anti-fungal (www.earthclinic.com.) It’s most basic quality is that it causes more alkalinity to Ph levels. It is said to work quite well in the case of allergies. Many commercial apple cider vinegars have been pasteurized, filtered, refined, or distilled to make the products look better. These additional processes tend to destroy the healthful effects of apple cider vinegar. 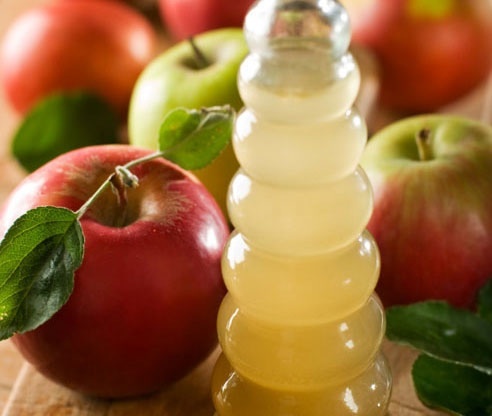 The best types of apple cider vinegars to use are made from cold pressed, organically grown, whole apples, which contain no added chemicals or preservatives, but do contain the natural gelatinous substance formed during the last fermentation, and referred to as the “Mother of Vinegar”. Nepenthe Naturals uses this type exclusively in the “Skin and Hoof Support Spray”. Other ailments apple cider vinegar can help with may include bruises, cancer prevention (because of the beta carotine antioxidants), and the phytochemicals (such as flavonoids and polyphenols that help protect against cancer formation). Organic, Unfiltered apple cider vinegar helps regulate blood pressure, asthma, arthritic help, warts, acid reflux, indigestion, pneumonia, glucose levels, and alkaline balance. To learn more about the health benefits of Organic, Unfiltered, unpasteurized Apple Cider Vinegar for humans and their pets there are many online websites, such as apple-cider-vinegar-benefits.com, homeremediesweb.com, earthclinic.com, howstuffworks.com, and buzzle.com, among many others, provide a wealth of information on apple cider vinegar and its many medical uses. -Cleanses the digestive tract and balances the acid/alkaline ratio. -Maintains the correct water balance in the tissues preventing oedema and de-hydration. -Eases joint and muscle pain. -Helps to dissolve calcium deposits in kidneys and bladder, and around joints. -Used topically reduces swelling and disinfects skin wounds. Can relieve mild itching. 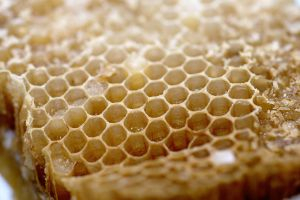 Beeswax: Bees wax works well in our Skin Support Salve because of compounds called “wax esthers” that exist in both bees wax and mammalian skin. BeesWax is a hydrating ingredient that increases skins essential moisture, an important reason why our Skin Support Salve works so well in retaining natural skin moisture. Its also helpful as a,UV inhibitor and skin conditioner. It is the primary ingredient used to “thicken” our salve without the use of chemical emollients. Chia Seed: We’ve all heard of Chia pets but have you heard of Chia for your pets? It’s a simple and amazing superfood with a multitude of health benefits. -Promotes a shiny, healthy coat, feathers, hoofs, bones, joints and ligaments. -Highest level of Omega-3 Essential fatty acids with a perfect ration of 3:1 (Omega -3 to Omega-6). -Easily digested (no hard outer shell or husk like Flax or Psyllium). -A Low NSC supplement (Non-Structural Carbohydrate): Excellent choice for dogs, cats, horses with an insulin resistant, diabetic condition. -Hydrophilic; Chia absorbs an average of 12X it’s weight therefore delivering all it’s nutrients like a “sustained release” capsule. This aids in the delivery of the necessary vitamins, minerals, proteins, fats and antioxidants while absorbing the “waste” needing to be eliminated in the gut (including sand in horses) and soothing to those with ulcers by balancing the stomach acid production. -Chia tastes good! With a very mild, highly palatable taste, even the most finicky animal will lick it up! -Packed with protein at 20% with a complete source of amino acids. -High in soluble fiber 37g/100g of Chia. -Stable shelf life (2 years) if stored in dry, cool location. Due to high level of antioxidants it won’t go rancid as easily as Flax seed or other supplements. -Great for your backyard chickens & pet birds! Chia is high in Boron & the Omega 3 & 6 essential oils that help those hens lay healthy eggs and still maintain health bone structure & feathering. -A little goes a long way! -An ancient whole food that stabilizes glucose levels, adds endurance, stabilizes energy, balancing to hormones, balances electrolytes, aids the digestive tract and makes your pet looking good, feeling great and being happy! The main reason why Chia is considered to be a “superfood” is because it contains high amounts of many essential nutrients when compared with most nutritious foods. Chia seeds contain 20% protein, 37.7% soluble fiber, 43% carbohydrates, and 31% fats, making the seed a better source of protein than beans and other legumes, and a better source of dietary fiber than oats and other grains. Even though chia seeds contain a relatively high percentage of fats, most of these are omega-3 fatty acids, which reduce levels of triglycerides in the body, blood pressure, and the risk of suffering heart attacks. They improve blood circulation. Chia is a mucilaginous seed, which means that it has gel-forming properties that create a barrier between carbohydrates and digestive enzymes in the stomach. This is why chia slows down the conversion of carbs into sugar and can stabilize sugar blood levels. 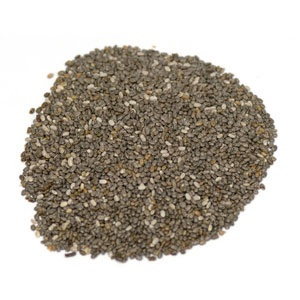 Surprisingly, chia seeds also contain high contents of several essential vitamins and minerals. According to some studies, a gram for gram comparison between chia seeds and other foods shows that chia contains six times more protein than kidney beans, twice the amount of dietary fiber as bran flakes, three times the amount of iron in spinach, twice the amount of potassium in bananas, and six times the amount of calcium in milk (Bourne, 2002). 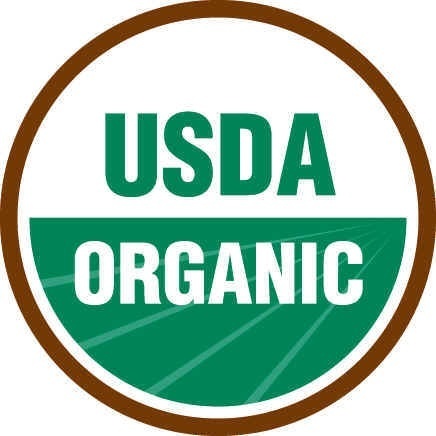 In order to do a proper factual comparison between the nutritional contents of chia and other foods, the USDA Nutrient Data Laboratory homepage was accessed. 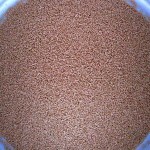 The nutritional contents of oats and flaxseed were retrieved and compared with those of chia seeds since these two foods are also considered to be very complete in terms of their nutritional value. This comparison confirms the fact that chia does contain higher amounts of most essential nutrients than flaxseed and oats, with the exception of vitamin C, vitamin E, copper and potassium. Chia seeds do contain higher levels of protein, dietary fiber, calcium, phosphorus, riboflavin, iron, and vitamin A.
Ayerza, R., Coates, W., 2005: Chia. Rediscovering the Forgotten Crop of the Aztecs. The University of Arizona Press, Tucson AZ. Bourne, D., Prescott, J., 2002: “A Comparison of the Nutritional Value, Sensory Qualities, and Food Safety of Organically and Conventionally Produced Foods.” Critical Reviews in Food Science and Nutrition., Vol, 42, No. 1:1-44. US Nutrient Data Laboratory website, Agricultural Research Service, accessed August 6, 2010. 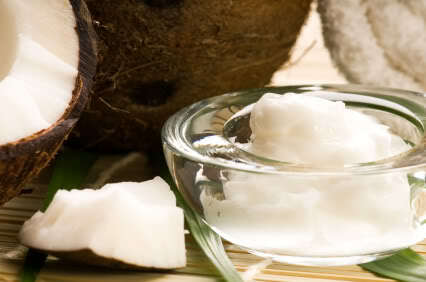 Coconut Oil: History will tell us that coconut oil has being used for thousands of years. There are a lot of documented accounts proving its wide use as a source of food and medicine by people of diverse cultures around the world, from South and Central America, Africa, to most of Asia. Nepenthe Naturals Expeller Pressed Coconut Oil is a high quality coconut oil. It is made by mechanical pressing and contains no solvents or chemicals. No pesticides, GMO’s or Hexane. This oil is not hydrogenated and contains no trans fats. It is also analyzed for and contains no aflatoxins. No trans or hydrogenated fat; No cholesterol or bleach. In addition, because this oil is expeller pressed and refined, it does not contain a coconut taste, but has a more neutral flavor & highly palatable to picky eaters. This quality oil is rich in Lauric Acid and other medium chain fatty acids. Lauric acid becomes 2-Monolauren in the stomach. The compound monolaurin is an effective treatment for candida albicans and fungal infections like ringworm and athlete’s foot. Monolaurin also specifically targets bacterial infections as well as lipid-coated viruses like herpes, the measles, influenza, hepatitis C and HIV. Researchers in the Philippines have even begun studies to prove the effectiveness of lauric acid against HIV/AIDS because of its strong antiviral properties. Plus, lauric acid is basically non-toxic, which gives it a distinct advantage over modern pharmaceutical drugs that are typically used to fight viruses, bacterial infections and fungal infections. Introducing Coconut Oil to your pets diet will improve their digestion, create a healthy coat, strong hooves, stronger immune system and reduce allergies. No refrigeration required; solid at room temperature and melts at 76 degrees. Not all saturated fat is bad! Coconut oil is cholesterol-free and contains medium-chain good fats with 50% -55% Lauric Acid–a healthy nutrient that supports the metabolism. The Coconut Oil Myth: Coconut oil was once mistakenly considered unhealthful. The fact is, this oil is cholesterol-free and rich in the medium-chain “good fats” doctors recommend. Why is it that baby formulas often include coconut oil? Because coconut is one of the world’s most nourishing super foods. Nutritionists suggest enjoying coconut oil daily. Doctors suggest we comsume a 3:1 ratio of Omega-6 to Omega 3, most diets are a ratio of 20:1 or more-contributing to heart disease, skin disorders and arterial inflammation. So avoid out-of-balance soy, corn, and canola oils with their trans fats, oxidation, and GMO’s. •	Increased utilization of muscle glycogen during heavy work. Unsaturated oils such as rice bran, corn, soybean, flax do not give these effects. Saturated oils are derived from animal fats, or coconut oil. Animal fats are unacceptable in horse feeds. 1. It is stable and resistant to rancidity. Because of its saturated structure, coconut oil can be stored for long periods of time without risk of rancidity. Rancid oils reduce the palatability of a feed, interfere with the utilization of fat soluble vitamins and may cause damage to muscle and organ tissue if consumed. 2. Coconut oil contains medium chain triglycerides (MCT) that are easier to digest, absorb and utilize in comparison to the long-chain fatty acids found in other oils such as maize, soy, canola and rice-bran oil. MCT absorbed directly into the portal blood and transported to the liver. By comparison, long chain fatty acids are absorbed into the lymphatics and slowly transported to the liver. Further, MCT appear to behave more like glucose than other oils, meaning coconut oil provides a ready source of energy for use during exercise. 3. Some of the MCT (lauric, capric and caproic acids) in coconut oil possess antibacterial and antiviral properties. These fatty acids may assist the horse’s immune system in fighting off viral and bacterial challenges, leading to improved overall gut health and wellbeing. MCT have been shown to control Salmonella in chickens, and it is suggested that MCT may be of benefit in horses with Dysbiosis (inbalances in the digestive system). 4. Coconut oil may have performance benefits. A study by Pagan et al (1993) found that horses supplemented with coconut oil versus soybean oil had lower blood lactate and ammonia and higher free fatty acids than a control group of horses who were not supplemented with fat during the gallop and the warm down phase of a standardized exercise test. These effects may have a positive influence on performance. In addition, a study by Matsumoto (1995) found that mice supplemented with medium chain fatty acids took longer to reach a state of exhaustion whilst swimming than unsupplemented mice. Comfrey: Symphytum officinale, is a plant that was used by the Greeks over three thousand years ago. 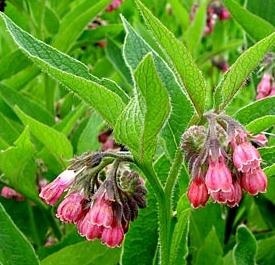 During the Middle Ages, comfrey was a popular remedy for broken bones. In fact, it earned the nickname “knitbone” because its leaves, when applied as a poultice to reduce the swelling around fractures, did a good job of healing those fractures. Comfrey’s most important ingredient is the substance, allatoin. Allatoin is believed to be a cell proliferator, able to strengthen skin tissue and help heal ulcers, and is often used in our “Skin & Hoof Support Salve” for all skin problems, reducing swelling/inflammation, bruises or hoof injuries. Because allatoin is present in the urine of pregnant women, in their milk, and in those parts of plants which are related to growth, it is believed that allatoin is closely related to the growth and multiplication of cells. However, as an external remedy, comfrey has many uses, and has demonstrated amazing healing properties. A poultice made from the fresh leaves, is said to be excellent for bad bruises, sprains, swellings, sprains and boils. 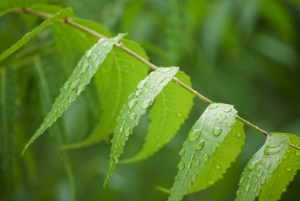 A poultice of the fresh leaves is also said to be excellent for sore breasts, ulcers, burns and gangrene. 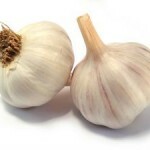 Garlic: Garlic’s health benefits and medicinal properties have long been known. Garlic has long been considered a herbal “wonder drug”, with a reputation in folklore for preventing everything from the common cold and flu to the Plague! Modern science has shown that garlic is a powerful natural antibiotic. In addition, Garlic acts as a natural prebiotic; a type of non-digestible substance. A prebiotic helps promote the growth of probiotics (beneficial bacteria shown to enhance gut health and stimulate the immune system). If you are concerned that Garlic is unsafe for your pet, please note that GARLIC is officially confirmed to be safe! All animal feed products in the United States are regulated by a national organization called the Association of American Feed Control Officials, Inc. (AAFCO). AAFCO, composed of each state’s agricultural department officials, is responsible for monitoring safety issues regarding feeds and supplements. AAFCO prohibits substances that may harm and lists approved ingredients with a proven safety history. Such items are called GRAS (generally recognized as safe), and are listed in AAFCO’s Official Publication. Garlic is one of the many natural foods and herbs which have earned the GRAS status by having a clean and clear history of use. AAFCO gathers information from many sources (for example, professional toxicologists from all over the United States) and they really know what they are talking about! So there we have it. Garlic, the world’s most popular health tonic, is backed by thousands of years of history and recognized by leading veterinary, regulatory, medical, and scientific organizations. 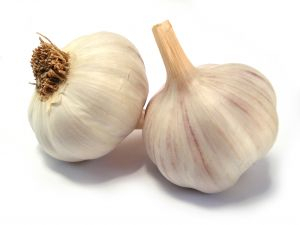 A Natural Mosquito Repellent – Garlic for Mosquito Control. Why Does Garlic Repel Mosquitoes? Kelp: Nepenthe Naturals kelp is an excellent source of naturally chelated macro and micro minerals, vitamins, and amino acids. Kelp provides many health benefits for people, pets, and livestock. It promotes shiny coat, supple skin, better growth rates and reproductive performance, purges heavy metals, increases milk yields, more efficient feed utilization, better glandular health, pigmentation, boosts immune system, etc. Kelp provides excellent health benefits for yards, plants, pastures, trees, crops, and gardens too. 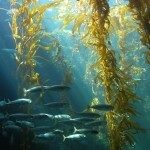 Kelp meal is fabulous in the garden to increase crop yields, drought resistance, frost protection, and stress recovery. 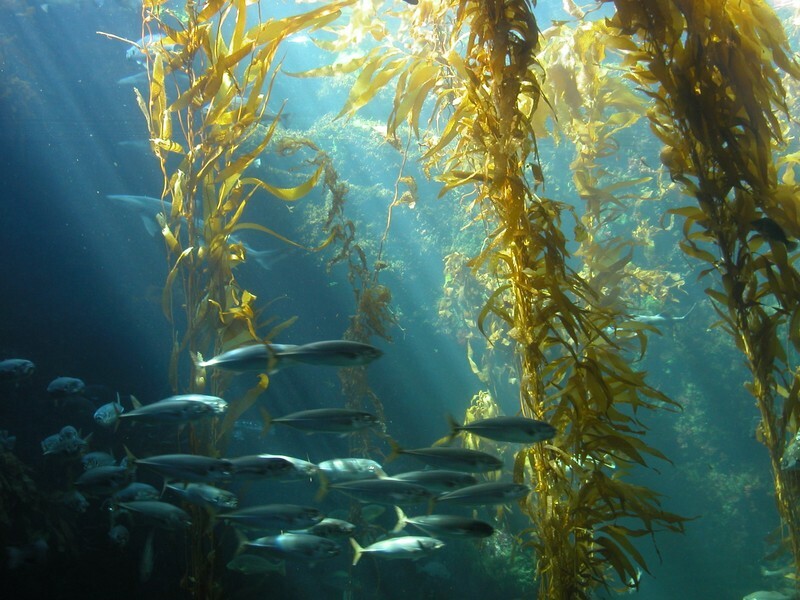 WHERE DOES NEPENTHE NATURALS KELP COME FROM & HOW IS IT HARVESTED? The kelp is produced in a pristine environment close to the Arctic Circle. The kelp is geothermically dried under low temperatures that keep the vitamins, minerals, and enzymes intact. 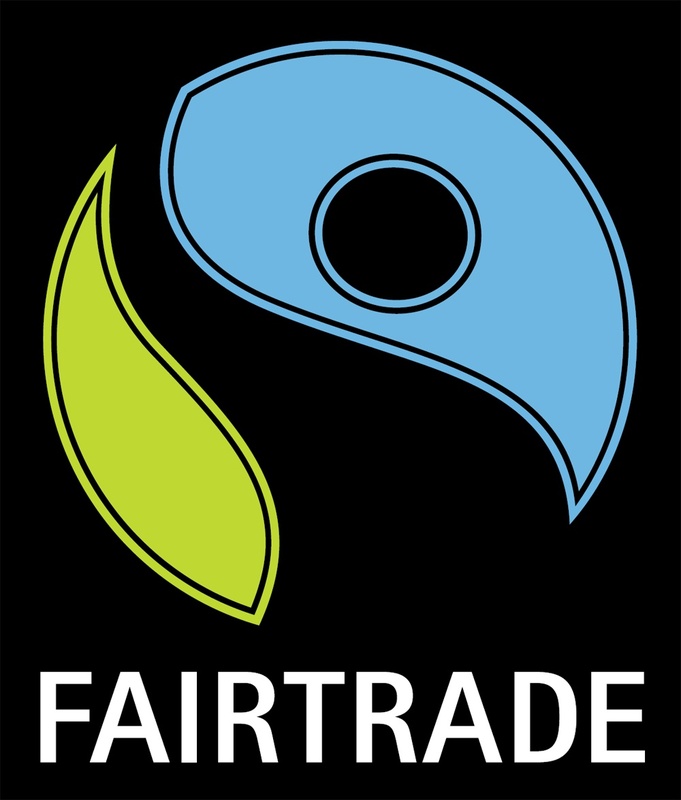 The kelp is inspected and certified organic by the Icelandic Certification Agency TUN, it is inspected by QAI (Quality Assurance International), a U.S. reciprocating organization. This kelp is the ONLY kelp meal currently OMRI (Organic Materials Review Institute) listed for livestock feed. Pure ocean marine algae seaweed from the world’s cleanest and richest sea waters, kelp contains 60 minerals, natural vitamins and other health factors. The kelp is 100% organic and complies with the USDA NOP organic feed requirements. This is the highest quality kelp available. We have tried and compared Norwegian and Acadian kelp meals and neither contain the high percentages of vitamins, minerals, micro nutrients, and amino acids that this kelp does. Kelp contains over 60 minerals (calcium, magnesium, nitrogen, phosphorus, potassium, sodium, sulfur, cobalt, copper, iodine, iron, maganese, selenium, etc. ); 17 amino acids, including lysine, hystidine, and proline; vitamins A, B1, B6 (Niacin), B12, D, E, and K; carbohydrates; plant growth hormones – auxins, cytokinins, and gibberellins. 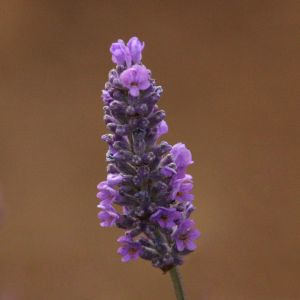 Lavender: Lavender oil is also used by herbal practitioners as an antidote for skin problems including burns, wounds, eczema, acne and fungal infections. In addition, lavender oil is used to improve circulatory disorders, or used as a rub to alleviate rheumatic ailments. As great healers and influential leaders studied lavender more thoroughly, they discovered the plant had properties to soothe wounds, kill germs and resist disease. Lavender could also ward off viruses, pests and bugs. Military doctors from the Romans through World War I used lavender to disinfect and fumigate hospital wards. Pharaohs, Asian emperors and European royalty used lavender to create an atmosphere of power and wealth. Religious leaders knew they could embellish ceremonies and rites with the subtle scents of lavender. 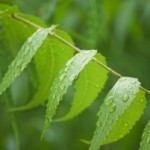 Neem: The tree is known to cure more than ONE HUNDRED diseases. Neem is both a pest control material and as well as a fertilizer, making it an invaluable farm companion. Neem is an intelligent pest repeller – it affects only harmful pests and does not affect useful species in the farm! Neem has a four-pronged repellant action and complex molecular structure which ensures that pests don’t become immune to it. It gives more oxygen than other trees, making it a champion pollution fighter. It’s leaf and it’s extract are a natural substance that don’t simply mask symptoms but encourage your body to heal itself. Its completely safe and causes no harm or side-effects. It has been used as a health and beauty aid in India for more than 5000 years! It was considered a divine tree by ancient Indians. A world conference is held every three years to discuss the research and discoveries modern science is making, on this single tree. And there is a lot to show and tell! As if all this wasn’t amazing enough, the Neem is a hardy tree that requires almost no water and grows happily on wastelands. Nettle: Urtica dioica for latin, also called stinging nettle, was once used to treat arthritis and all sorts of skin disease. It was the method with which nettle was introduced to the body that makes this herb’s medicinal history so interesting—self-flagellation with the nettle plant. 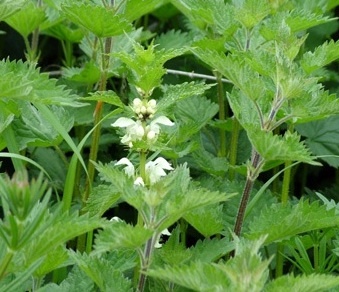 Nettle contains natural antihistamines and anti-inflammatory properties. 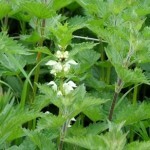 Many herbalists and naturopaths do say that the antihistamines in nettle make it an excellent treatment for hay fever. Nettle is a vital ingredient found in our “Skin and Hoof Support Salve” for it’s ability to reduce swelling and calm an injured area, Nettle may help people with arthritis to reduce their dosage of nonsteroidal anti-inflammatory drugs (NSAIDs), which have been found to cause stomach upset and gastrointestinal bleeding with overuse. In one German study, people eating stewed nettle leaves needed only one-fourth as much NSAID as those taking drugs alone to experience the same pain relief. Nettle also contains large amounts of boron and silicon, two minerals that help ease symptoms of arthritis, bursitis, and tendonitis. Olive Oil: Creates a healing base for the herbal infused “Skin Support Salve” – a true first aid in a tin! 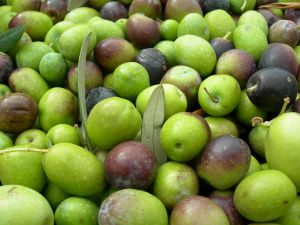 Extra Virgin, Cold pressed Organic Olives contain natural disease-fighting ingredients such as antioxidants, vitamin E, oleic acid, polyphenols and monounsaturated fat – good healthy fat. 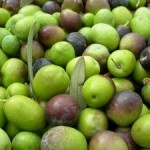 Olive oil was used in medicines and different ointments. 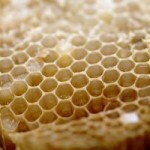 It was also used for nourishment and as an overall healing agent. It also has had medicinal, even magical powers through the ages. The olive tree is considered a symbol of peace and glory. Plantain: Plantain (Plantago major [Latin]) is a weed commonly found in the wild and (much to suburbanites’ dismay) the lawns of almost everyone living in temperate climates. 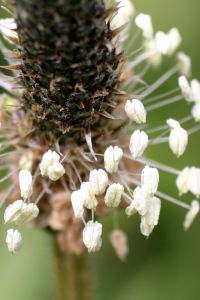 It is traditionally used to treat minor cuts and a wide range of skin disorders, including dandruff, eczema, sunburn, and bug bites. Studies have demonstrated that the juice of the plantain plant is both antibacterial and anti-inflammatory. Plantain contains allantoin, an anti-inflammatory phytochemical that kills germs, speeds wound healing, and stimulates the growth of new skin cells (many commercial cosmetic creams and lotions list allantoin as an active ingredient). 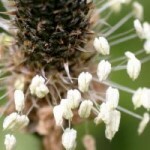 Plantain is another vital ingredient in our “Skin & Hoof Support Salve” to soothe and help heal bug bites, contact dermititis, eczema, irritations, wounds, scratches, allergic reactions and burns. A key ingredient in our “Skin & Hoof Support Salve” it soothes bug bites, eczema, poison ivy, or other minor skin irritations. Rosehip: A key healthful ingredient in our “Sea Support Supplement”. Rose hips are the edible and nutritious fruit of the rose plant, the smooth skin of the hip is first green, then turns shades of orange and when fully ripe, a deep red but might be dark purple to black in some species. Among the species of rose particularly valued for the hips are Rosa rugosa, known as Japanese rose. Rose hips are rich in Vitamin C (about 1700-2000 mg per 100g in the dried form) A, D and E and flavonoids. It also contains essential fatty acids which are involved in tissue regeneration and retinoic acid, responsible for skin rejuvenation and quickens the healing of skin damage. A natural antioxidant that will support a healthy immune system and combat all types of stresses that animals deal with daily. Use regularly as food supplement, rose hip will help prevent and cure ailments such as: rheumatoid arthritis, urinary bladder infections, constipation, chronic diarrhea, gastritis, infertility and to regulate kidney function. 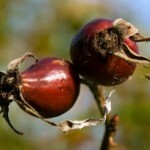 Rose hips will help re-establish the beneficial bacteria in the digestive system after giving antibiotics to your pet. The natural balance of the intestinal flora may be disrupted or destroyed by the action of antibiotic drugs. 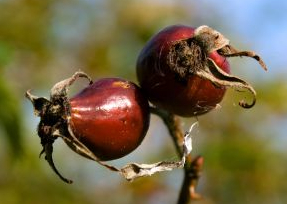 Rose hips can also soothe the nervous system and relieve exhaustion. Yarrow: Yarrow is believed to have originated in the milder climates of Europe and Asia and has been around for over 3,000 years. In ancient times the leaves and flowers of yarrow were eaten and tea-like drink was made from yarrow leaves. Medicinally, fresh leaves of the yarrow plant were applied to wounds to stop bleeding, fight fevers, treat gastrointestinal conditions, lessen heavy menstrual bleeding, and improve circulation. Fresh leaves were chewed to relieve toothaches. 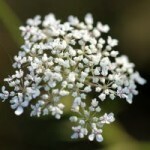 A number of chemicals may contribute to yarrow’s medicinal properties. The volatile oil of yarrow, which is rich in sesquiterpene lactones and alkamides, is believed to have strong anti-inflammatory properties. Some studies have shown that yarrow can reduce smooth muscle spasms, which might further explain its usefulness in gastrointestinal conditions. The alkaloid obtained from the herb known as achilletin has been reported to stop bleeding. Achillea actually refers to the ancient hero Achilles, who is said to have used yarrow for himself and his soldiers. Millefolium, on the other hand, means “of a thousand leaves” – this refers to the fine, delicate and feathery leaves of the plant. 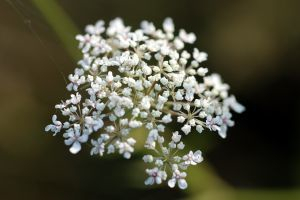 The yarrow plant is also known as “bloodwort”, “carpenter’s weed”, “common yarrow”, “knight’s milfoil”, “milfoil”, “noble yarrow”, “nosebleed”, “old man’s pepper” and “staunchgrass”. Many people in the health community or those seeking a healthier diet with an abundance of nutritional element are turning to brewers’ yeast as a daily addition. Because it is also low in fat, sodium, calories, and carbohydrates, it is also beneficial for those with diabetes and hypoglycemics. Brewers’ yeast is a natural source of Vitamin B complex and highly concentrated amounts of protein, as well as a wonderful spectrum of other healthy vitamins and minerals. A high nucleic acid count, a valuable commodity in regards to cell development, is present in brewers’ yeast, as well as ample amounts of folic acid, potassium, thiamin, niacin, chromium (needed for the body to produce insulin), and much more. 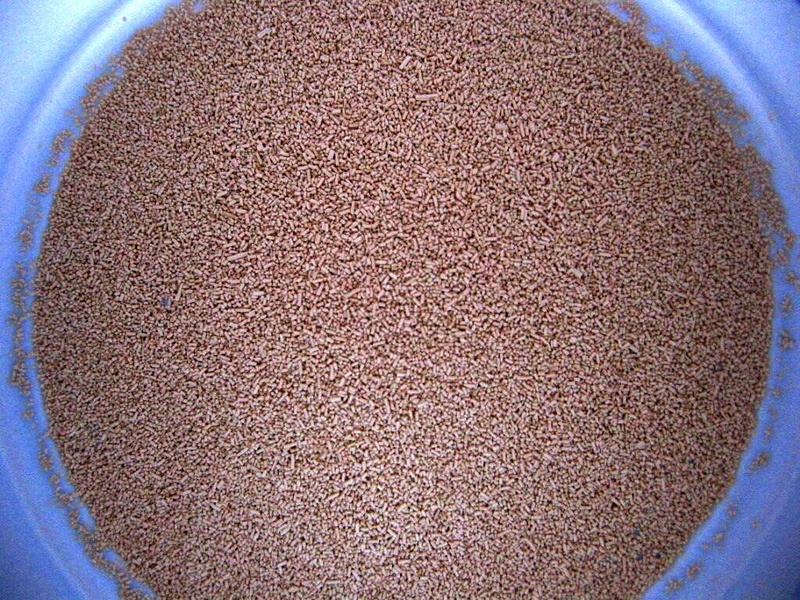 Consumption of brewers’ yeast is also attributed to several health benefits, such as reduced stress, better metabolism and lower cholesterol. It can also help provide restful slumber and ease fatigue. It promotes a healthy coat, skin and nails (hooves) and is an effective prebiotic. It also appears when ingested to make your pet less susceptible to insect bites. Yucca: Nepenthe Naturals’ Sea Support Supplement contains Yucca Root powder because of its ability to relieve symptoms of arthritis and rheumatism pain (Dr. Larry Milam, H. MD; 1999). Steroidal saponin is a highly active compound found in yucca plants. Saponins are precursors to cortisone and provide pain relief due to joint pain and inflammation. Rich in Vitamin A, B-complex, and Vitamin C, Yucca is also a good source of copper, calcium, manganese, potassium, and fiber. (Medicinal uses of herbs, 1999). 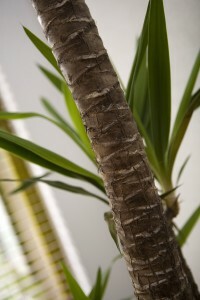 Yucca is a desert plant found primarily in the southwestern United States. Both the stalk and the root can be used for medicinal purposes. Yucca has demonstrated anti-inflammatory and antiviral activity. In the past Native Americans have used Yucca for sprains, sores, bleeding, and all sorts of inflammation. Yucca continues to be used for osteoarthritis, hypertension, migraines, headaches, stomach disorders, poor circulation, and liver and gallbladder disorders. Furthermore, Yucca Root powder ha been found to reduce unpleasant odors in urine and feces in house pets…..another added bonus!